Dental disease can quietly affect our patients and become advanced well before they indicate any symptoms, such as pain or change in appetite. Dental pathology can involve not only the mouth, but it can also affect or worsen diseases elsewhere in the body such as diabetes and heart or kidney disease. Every patient examined at NVS receives a comprehensive oral exam in which we gauge the amount of tartar, gingivitis, and as much as possible, search for loose or at-risk teeth. This is repeated under full anesthesia during the dental procedure after the removal of tartar. From there we assess the gum and bone health around each tooth, using dental radiographs where appropriate. With our high-speed drill we can handle many of the extractions that may be necessary for our patients. 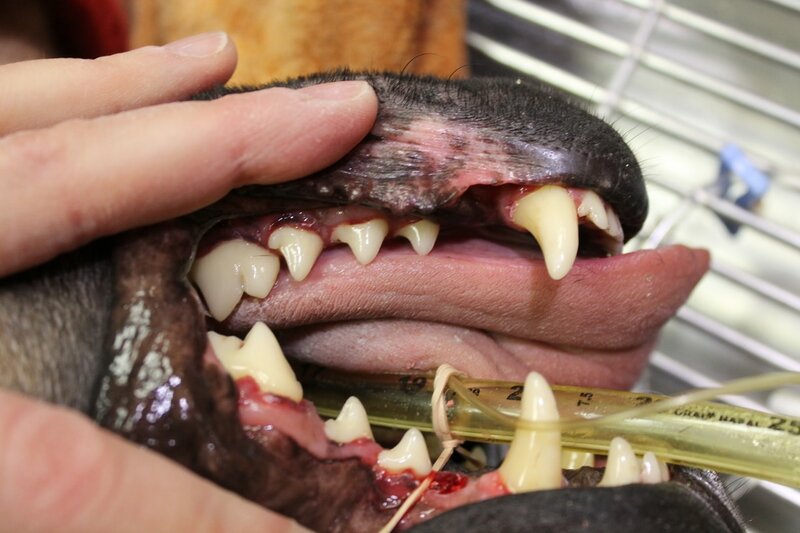 If we feel an extraction or condition is beyond our scope, we have an excellent working relationship with a veterinary dentist in West Michigan. We also feel home dental care is important before and after dental visits. Human studies have shown a significant plaque build-up within 8 hours of a dental cleaning, and this is likely accurate for our pets as well. Brushing teeth daily with a small toothbrush, or swab for our tiny pets, will be the best prevention for future dental concerns. 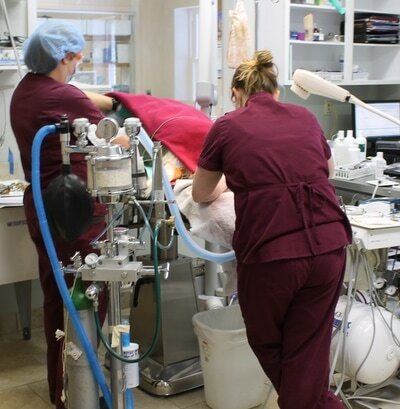 Dental cleaning procedures are typically needed by age 3-4 years of age for most of our patients, but may be necessary as early as 1 year of age for our small and toy breed dogs. ​If you have questions or concerns about your pet's oral health, call us to schedule a visit with one of our doctors. This visit will provide a general idea of your pet's dental needs and we will make a care plan for the appropriate treatment, tailored to your pet's specific needs.